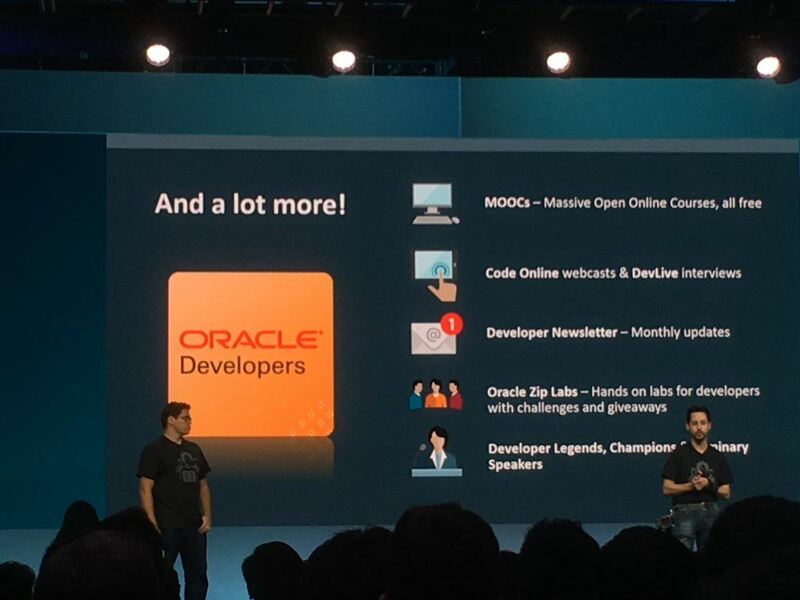 Here are our pictures from the Developer Keynote at JavaOne 2017. 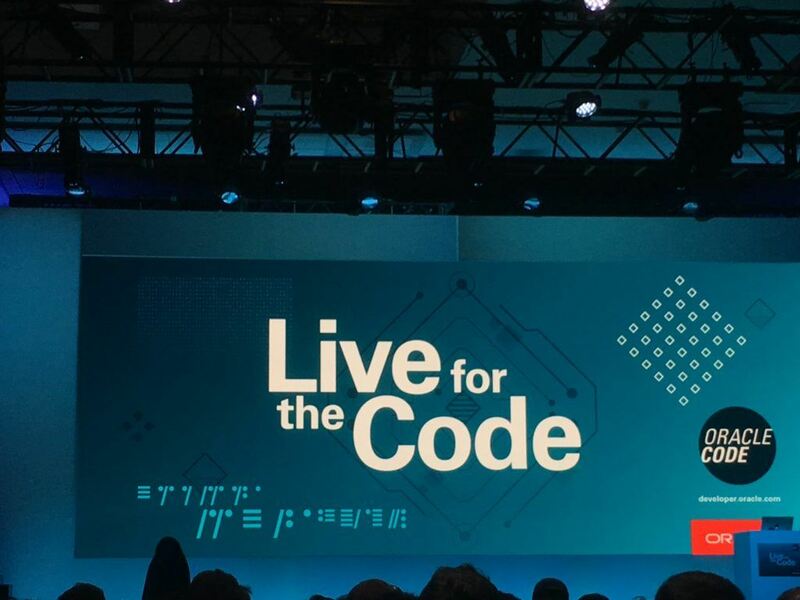 We have a whole series of articles on the conference here. 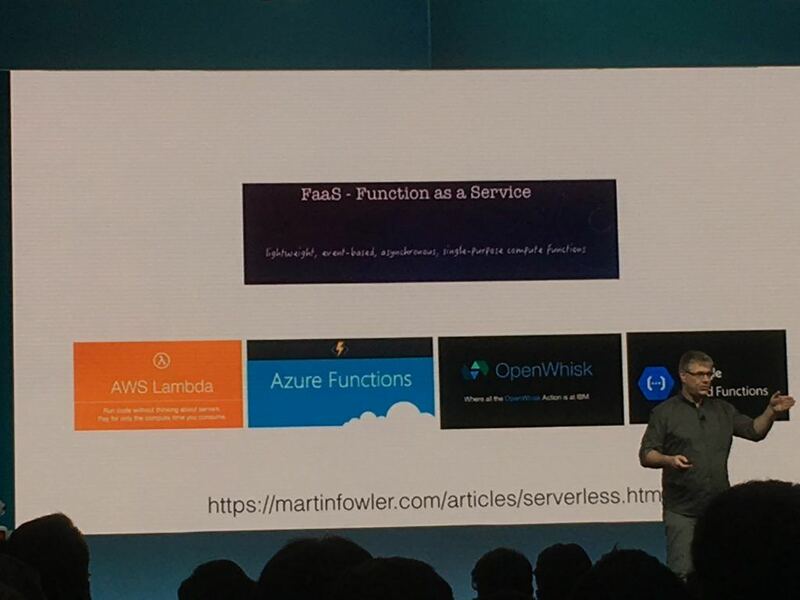 Overview: Demo of Cloud services and Bots, talk on Serverless and FaaS and finishing with some reading material recommended to help both developers young and old to better themselves. 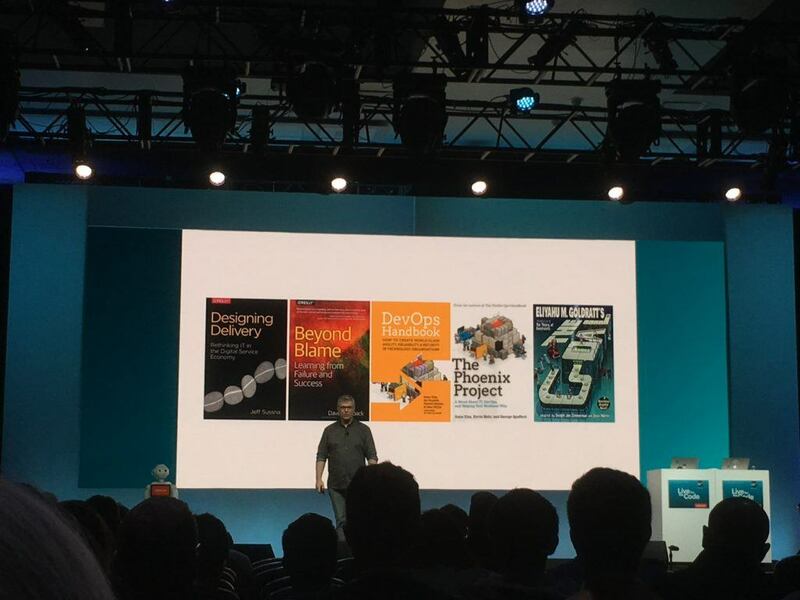 Chatbots and MicroServices are paving a way forward by becoming a handy way for users to interact with a service without having to download additional software. 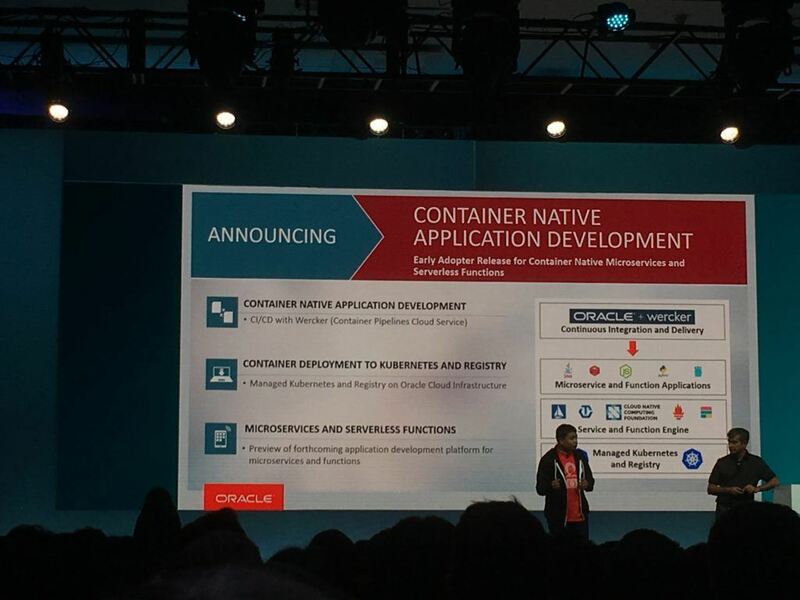 Container Native Application Development announced. 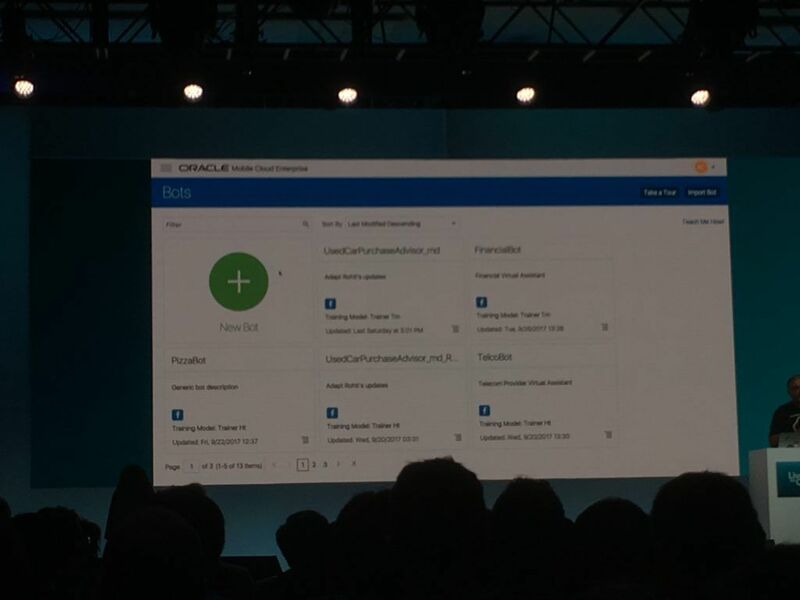 Wrecker was shown off which handles container native application development and the deployment of MicroServices. 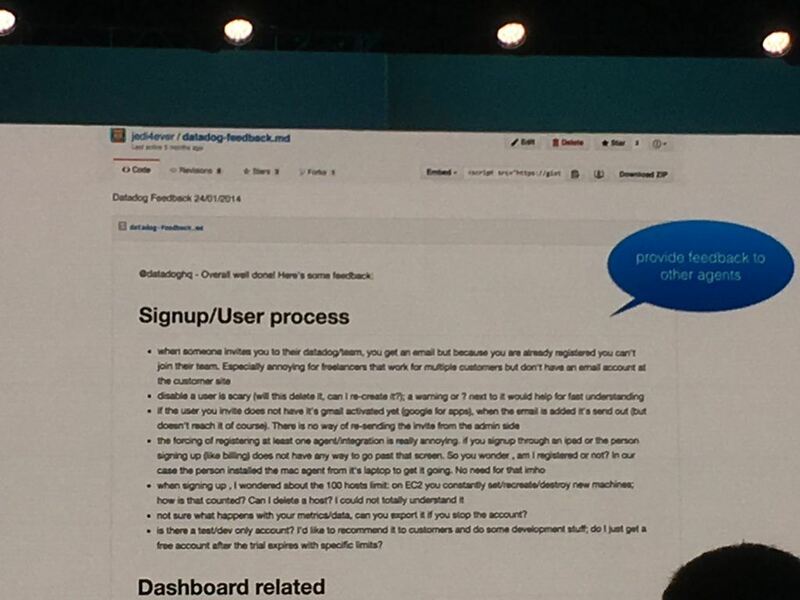 A chatbot was shown which was created by volunteers in 45 minutes. 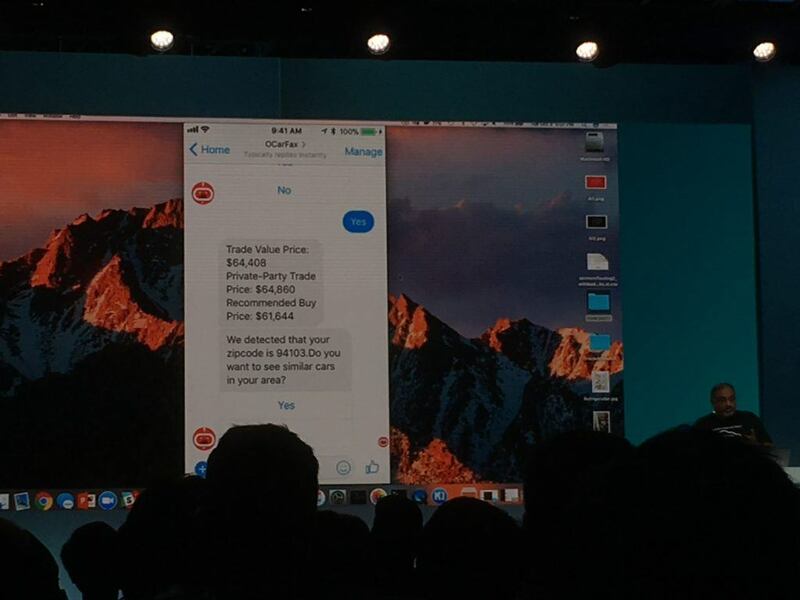 This allowed people to quickly and easily check prices of cars and purchase one in a few simple messages. 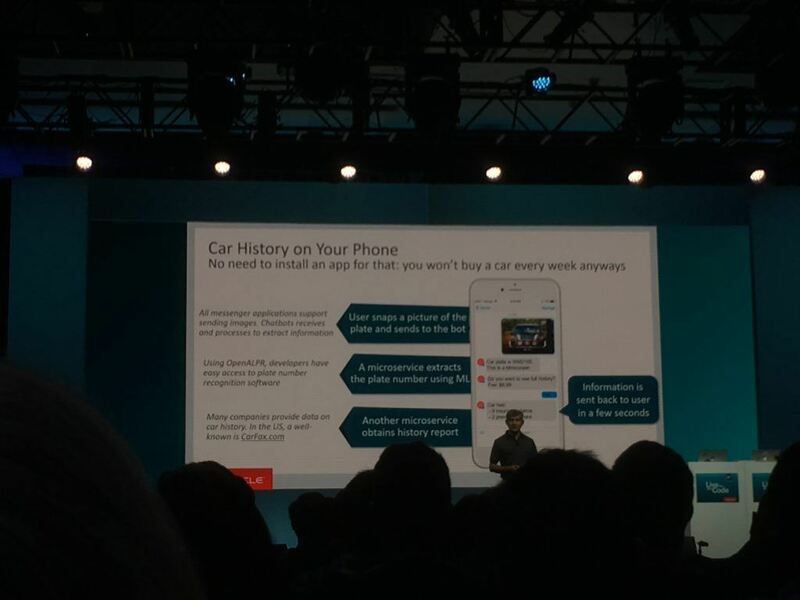 Oracle’s Mobile Cloud Enterprise platform was shown off. 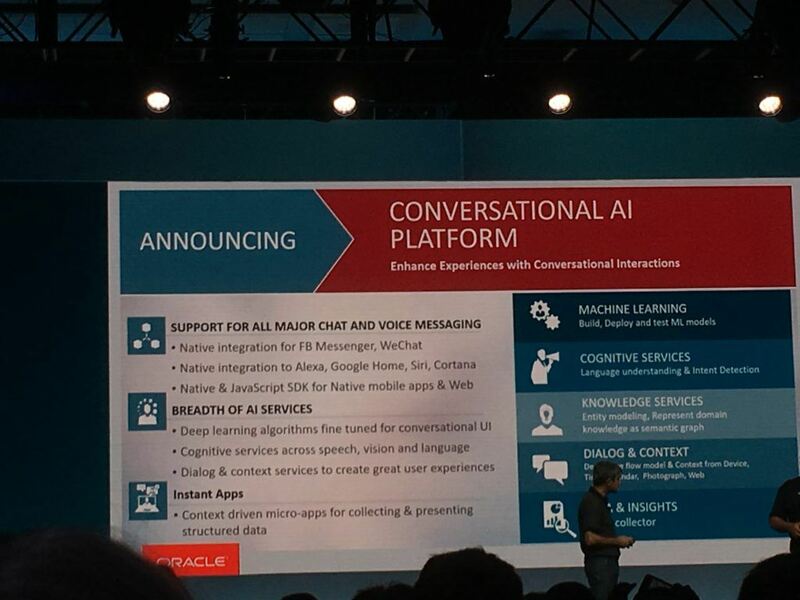 Conversational AI Platform announced which can easily integrate with Facebook messenger, Alexa, Siri and Cortana. 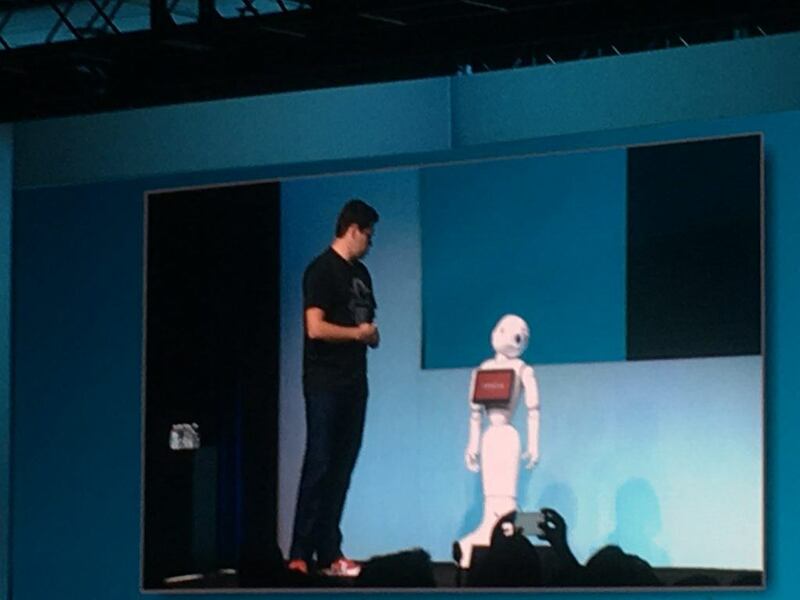 A robot was then presented that used the Conversational AI Platform. 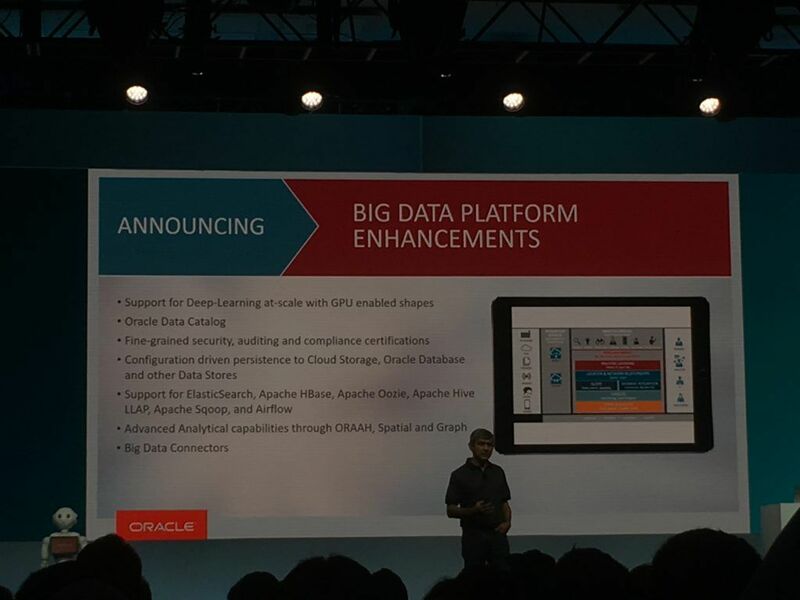 Big Data Platform Enhancements announced which supports big learning at scale and handles big data connectors. 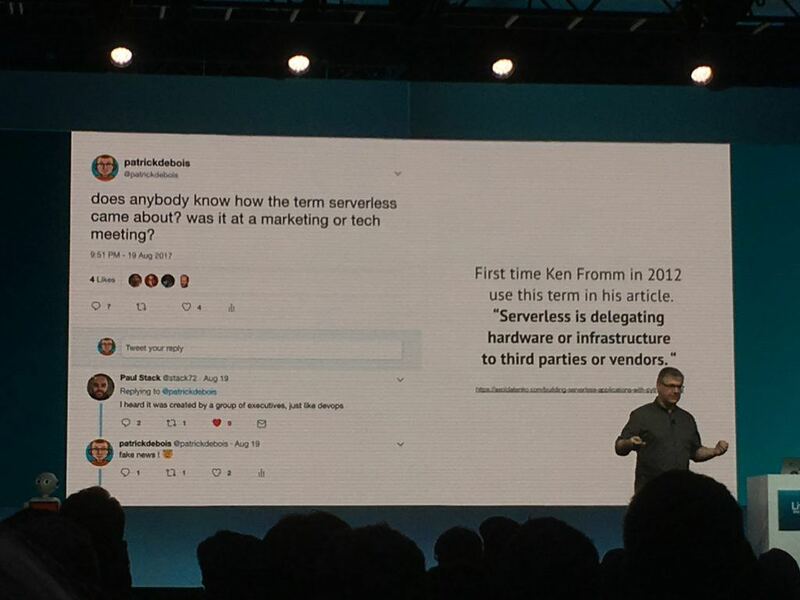 Where did the term serverless come from? 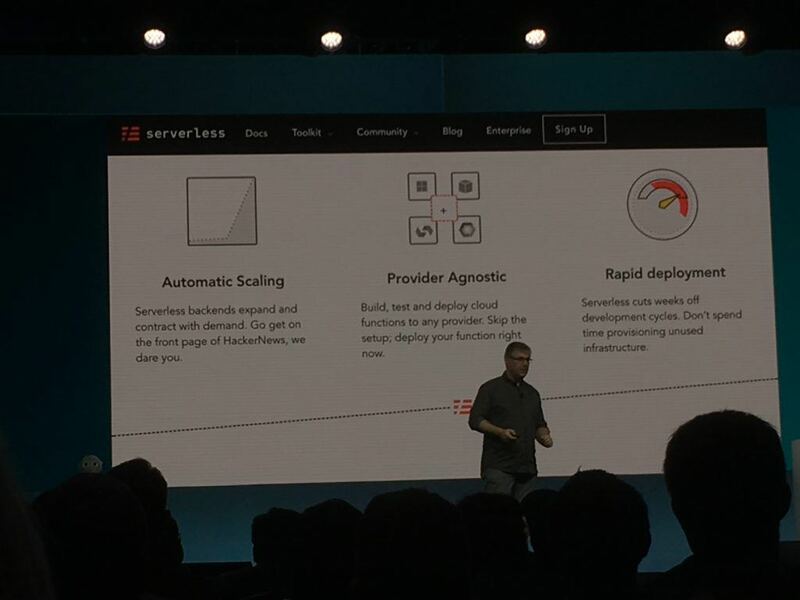 And what the benefits of FaaS are – Automatic Scaling, provider independent and can aid rapid development. 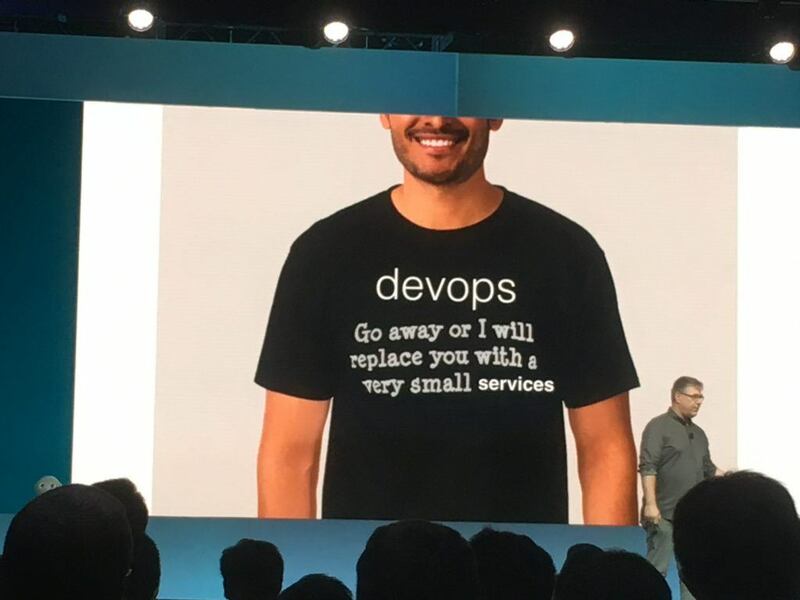 Devops was also nicely defined for us. 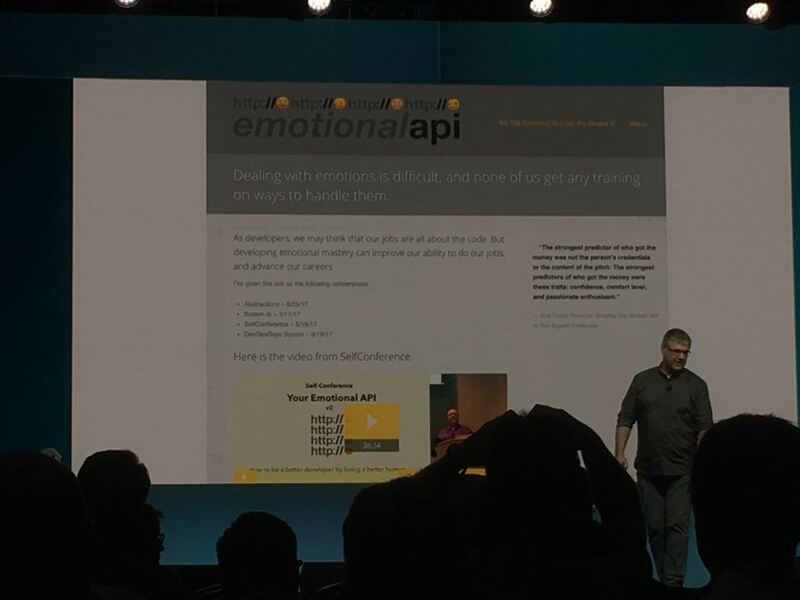 An interesting API was shown that can understand human emotions and relay that back to your application. 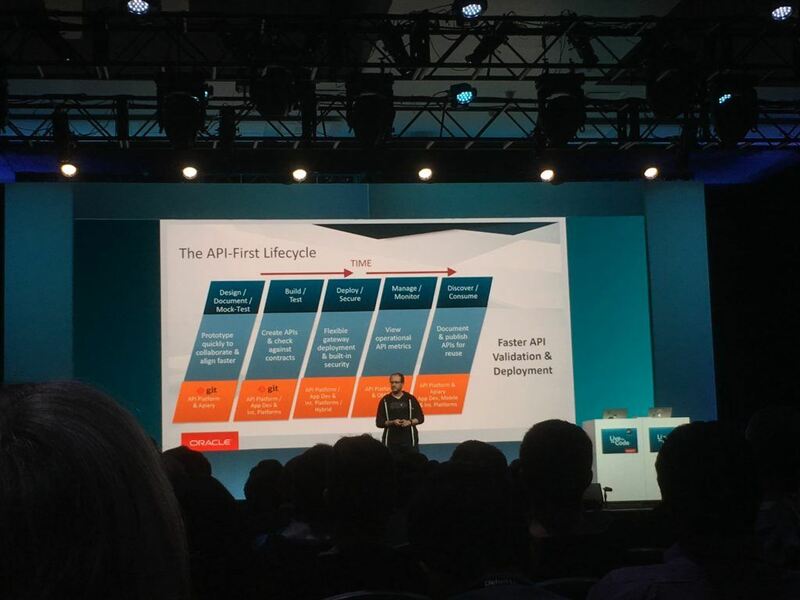 We were then reminded that the best way to do business is to be as clear and open as possible with your customers. 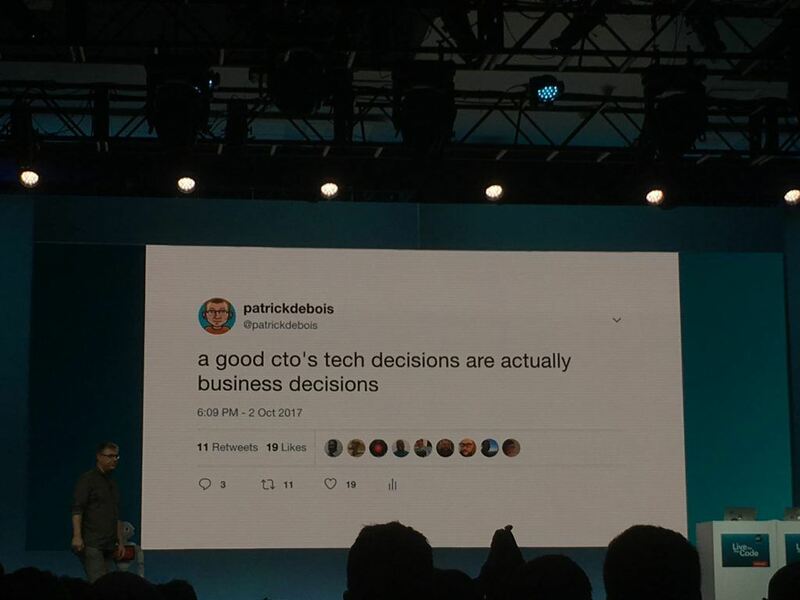 A wise phrase was passed on. 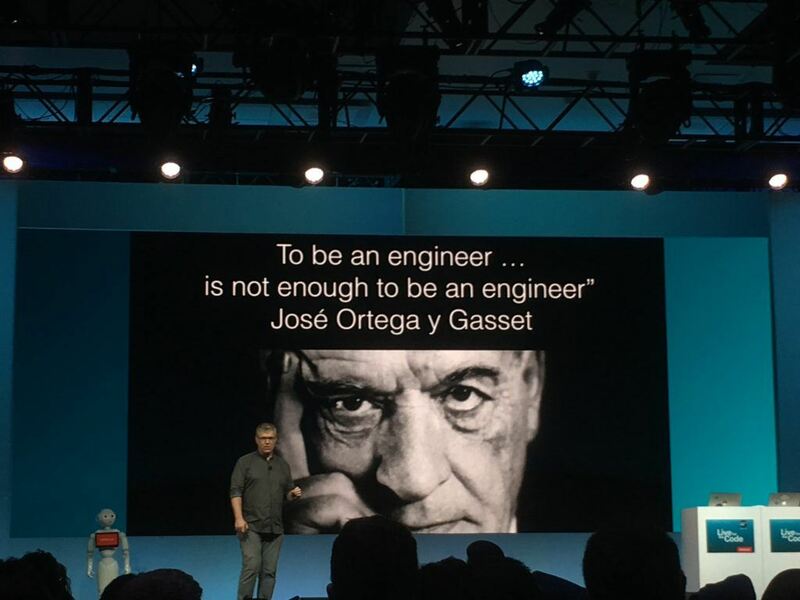 A well know quote presented. 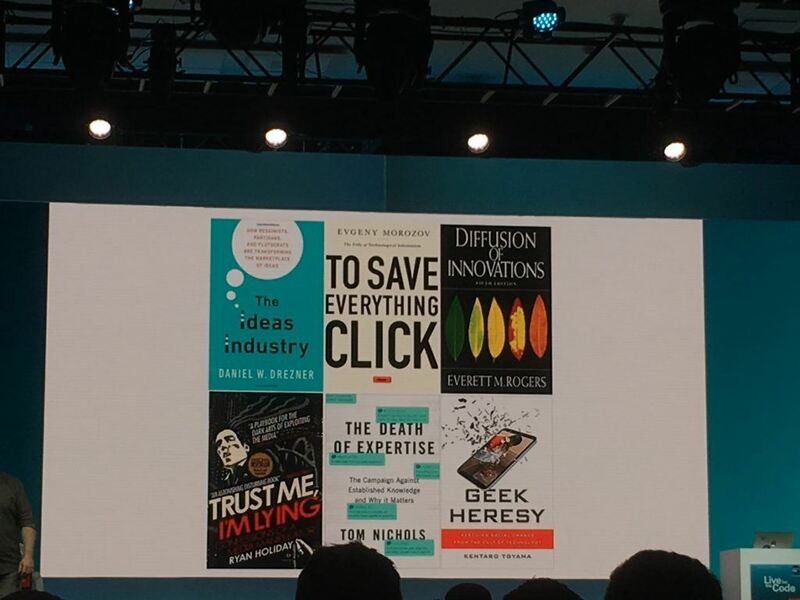 And finished with even more books. Overall quite a bit of interesting technology shown off and plenty of food/books for thought.